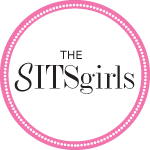 I am beyond happy to share that I was chosen to be a Featured Blogger with the SITS Girls community. My Feature Day was on July 15th, I had great fun and tons of support from all the lovely girls at SITS. It has been an amazing experience and I would like to share with everyone who might wish to be part of it too. What is a Featured Day? This is basically a day dedicated to your blog and you. The SITS girls community make up a featured Blogger post, introducing you, your blog and three of your most favorite blog posts. Community members comment this post, visit your blog and comment your blog posts too. This generates unusual blog traffic, but also a great atmosphere and support from peer bloggers (thank you!). Versatile Blogger Award is given to blogs/blogger bringing something special to your day, have unique and inspiring posts and write good quality posts with beautiful imagery. The rules for this tag are simple enough: thank and link to the person who nominated you the Versatile Blogger Award, pick and share 7 facts about yourself, nominate 15 of your recent fav blogs that you discovered and follow. 2. My latest hobby is freezer-cooking. I dedicate one day of the week to cook some freezer friendly dishes and then enjoy them for the weeks to come. 3. I usually enjoy planning an event as much as having it. 4. I used to wear glasses for 10 years in the past. 6. I have never been skiing because I am afraid not to break a bone. 7. Today is exactly 3 years after I married my beloved husband. My nominees’ blogs are great places to get a bit of what I like: some beauty, some fashion, some quality food and some creativity. I love these amazing ladies’ blogs, it is a pleasure to read what they have to say and I enjoy the beautiful images they feature in their posts. C from Beauty Science Magic! I hope my nominees will enjoy doing the tag as well. For me it was fun, thankd for reading and see you soon! Blogger of the Month award! I am so excited that I got the Blogger of the Month nomination by the Next Blogger Network. I was awarded the Blogger of the Month badge for January for my Pastel colors inspiration board. My nomination is already on NBN facebook page and will be announced in an upcoming newsletter to NBN members. In that matter we had a short interview so that you can learn a bit more about me and nailcentric.net. Here are the questions and my answers! 1. When did you start blogging and what encouraged you? I started blogging in December 2013. I wanted a place to share my passion for nail art with people who really care. My husband encouraged me a lot, helped me set up the blog and is making all the photos for it. That made nailcentric.net a possible and real blog project. I get my inspiration mainly from fashion and lifestyle blogs. I love Keiko Lynn’s blog, Kate’s Small Things blog, the Bohemian SF Girl by Bay and many others actually. I love street style, beauty, lifestyle and food blogs with inspirational imagery. I doubt I would be shopping more. I have a clear shopping strategy I always stick to! My style icon has been the same for years. It is the talented and always magnificent Gwen Stefani. Fellow bloggers, when inspiration is not there, just do not post. I write in my bed with my computer in my lap. … I am also a Mom to a baby boy, a wife to the love of my life, a project coordinator for an international IT corporation, a scrap booker and a dear friend to those closest to my heart. 9. What are your top five favourite items from next.co.uk? No secrets, I show off all my talents all the time :) I think my biggest talent is to enjoy life. 12. I have noticed you blog about nails mainly, but fashion as well…what if your fav topic to write about? I love to blog on everything I am happy to share. Sometimes it is nails, sometimes it is a fashion inspiration, it doesn’t matter as soon as I feel passionate about it. 13. We are now into our Spring (YAY!!) What is your number 1 top look for Spring? NailCentric.net has a new look! I am so excited to share with you the new look of my blog! A lot of effort was put into this cute and girly pastel color design and I love it! Blog features have not changed much apart from the drop down menus in the menu bar. Now we have the Tutorials menu which has all my How-Tos and Manicure tips; the Everything nails menu pretty much says what you can find there; and my newly created Mix Box column, hosting topics unrelated to nails which I still want to share with you. You can still reach me at my previous social media accounts and use the contact form to get in touch.